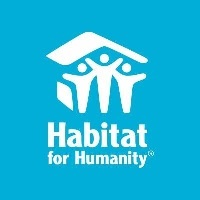 ATLANTA (April 1, 2019) — (RealEstateRama) — Habitat for Humanity International’s board of directors has elected Mary Mack, Wells Fargo & Company’s senior executive vice president and head of Consumer Banking to join the board and lend her expertise to the leading global housing nonprofit. Mack recently joined President Jimmy Carter, former First Lady Rosalynn Carter and hundreds of other volunteers in Mishawaka, Indiana, to help build more than 20 homes as part of the 35thCarter Work Project. Mack began her career at Wells Fargo in 1984 and has served in various leadership roles including head of Wells Fargo Advisors, head of Wealth Brokerage Services, leader of Wachovia’s Client Partnership, director of Community Affairs, General Bank regional president and managing director of Healthcare Corporate Banking. Mack has been named by Fortunemagazine three times as one of the “50 Most Powerful Women in Business” in 2016, 2017 and 2018. Mack is also a member of the United Way Worldwide’s Board of Trustees and the Charlotte Executive Leadership Council. She is a founding member of the Foundation for Fort Mill Schools in Fort Mill, South Carolina. Mack holds a bachelor’s degree in international political economy from Davidson College in North Carolina and currently serves on the college’s board of trustees. Since 2010, Wells Fargo Foundation has provided more than $79 million to Habitat for Humanity, while the company’s team members have volunteered more than 410,000 hours building and remodeling more than 2,800 Habitat homes. That’s more than one home built or improved every business day for the past eight years. Habitat’s international board of directors is responsible for establishing policy and guiding the organization’s efforts to build or improve affordable housing in partnership with families across the United States and in more than 70 countries around the world. Habitat board members serve for two-year terms that can be renewed up to four times.